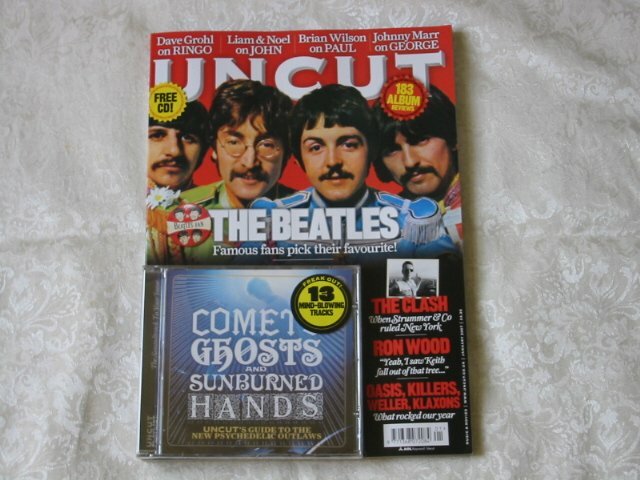 Uncut magazine 116 (January 2007) THE BEATLES – famous fans pick their favourites. Dave Grohl on Ringo, Gallaghers on John, Brian Wilson on Paul, Johnny Marr on George. The Clash, Ron Wood, Lily Allen. 13 track modern psychedelic special – Comets, Ghosts and Sunburned Hands.